← Chess Quiz for Spectators! Pune Sangli Nok-99 Navigators Take Lead! Debutants Pune Sangli Navigators hit the accelerator hard in the very first day of the Persistent 4th Maharashtra Chess League 2016 to zoom into sole lead with 9 points at the PYC Hindu Gymkhana. Jalgaon Battlers and PuneTrueMasters scored 6.5 each to trail behind the leaders followed by Ahmednagar Checkers with 5.5 points, defending Champion Thane Combatants with 5 points and Mumbai Movers with 3.5 points. In the two rounds played today Pune Sangli Navigators warmed up with an upsetting 4-2 score against Thane Combatants and with their morale boosted wrapped up the day by defeating Mumbai Movers with a whopping 5-1 score in the second round. Pune TruMasters edged past Mumbai Movers 3.5-2.5 score against Mumbai Movers and were held to a 3-3 draw by Ahmednagar Checkerrs in the second round. 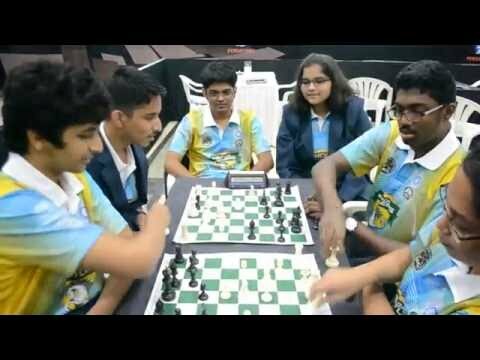 Jalgaon Battlers also started with a 3.5-2.5 score against RBS Ahmednagar Checkers but also conceded a 2-2 draw to Thane Combatants in the second round. For Pune Sangli Navigators promising player Akash Thakur and IM Aditya Udeshi played pivotal roles, scoring wins in both rounds. The encounters between super GMs Krishnan Sasikiran and S P Sethuraman ended with the honours shared. Youngster Aakanksha Hagawana playing for Jalgaon Battlers brought about another upset by defeating higher ratedAniruddha Deshpande. The first round witnessed plenty of upsets, the prominent one being the highest rated player in fray, Krishnan Sasikiran playing for the first time in the league, overstepped the time limit to end on the losing side to Sunilduth Narayanan. 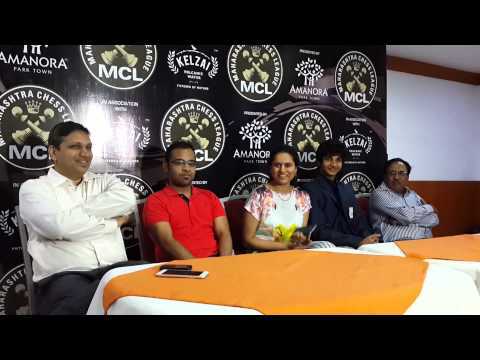 The highest rated woman player in fray Koneru Humpy representing Jalgaon also fell prey to the clock against brand new GM Shardul Gagare. 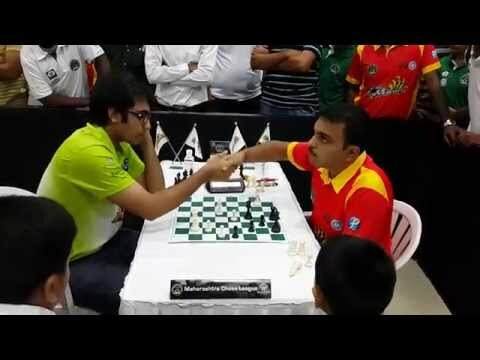 Newcomer and youngster Harshit Raja playing for Pune TruMasters shocked WGM Swati Ghate in a miniature while Akash Thakur stunned WGM Soumya Swaminathan. 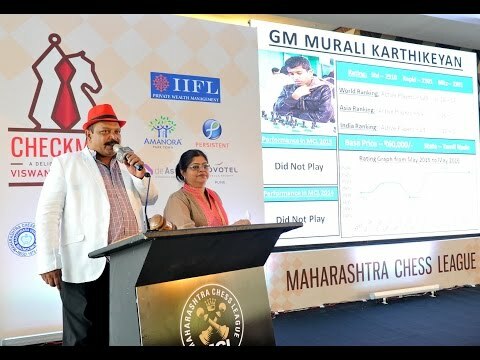 The Grandmaster encounters were equally enthralling , especially the one between the youngest GM in fray, the highly talented Aravindh Chithambaram and the oldest and most experienced GM Abhijeet Kunte. A fluid and dynamic middle-game promised some exciting play but Abhijit blundered and ended on the losing side. 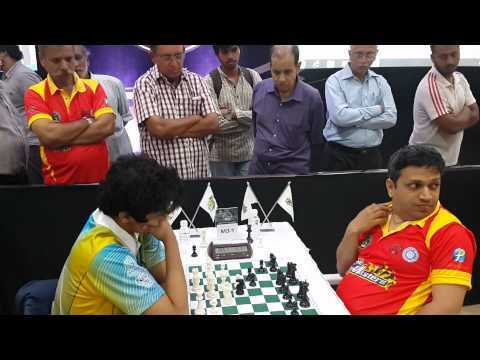 The high profile super GM encounter between B Adhiban and Lalit Babu ended in a deadlock. An extremely excited Gagare gushed ‘Humpy spent too much time in the opening and early middle-game and was severely short of time and I could cash in on it’. The game was a Queen’s Gambit Declined one, filtering into a Queen, knight and bishop each ending. Both players managed to invade their opponent’s territory but Humpy ended on the losing side on the 47th turn even as Gagare had started weaving a checkmating net. 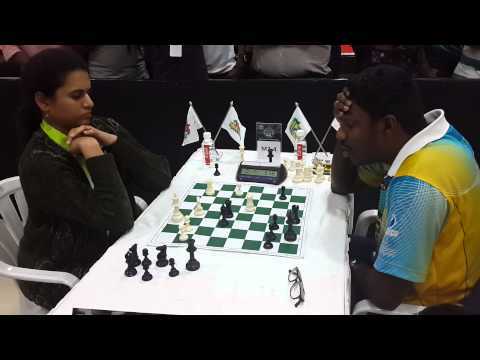 For Pune TruMasters Harshit Raja brought in the unexpected point, after he managed to trap Swati’s queen in a Scotch game. ‘She made a mistake on the 18th turn and there was no way out’, explained Harshit. The six player event is a Round Robin one with all the six teams playing each other once and will be followed by Qualifier and Eliminator and the final scheduled on Wednesday, June 15th. The event is co-sponsored by IIFL, de Asra and Amanora. 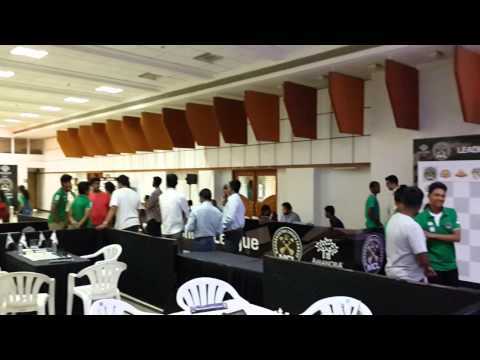 There is a Chess quiz for spectators after every round with the prize being a subscription to premium account of playchess.com which is sponsored by ChessBase India.